• Borders: South of City Hall Park, excluding Battery Park. • Inhabitants: About 56,000 people. 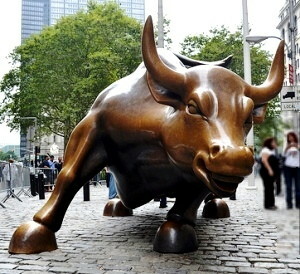 • Top Attractions: Wall Street, Ground Zero. • Shopping tips: Technology, Music and Software. • Popular subway: Wall Street Subway. 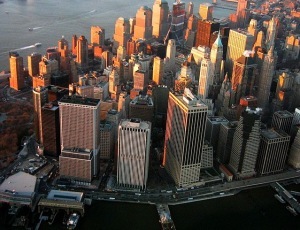 The southernmost area of Manhattan comprimises New York’s major financial institutions and investment banks. If your doing a NY seightseeing, Wall Street is a must. What to do in Financial District? The Financial District is located in Southern Manhattan and is best known for the offices that make up New York’s financial institutions. Take a tour of Ground Zero, the site of the former World Trade Centre. The area where the towers once stood is now a memorial site in the form of two peaceful fountains replicating the base of the north and south towers. The New York Stock Exchange and Wall Street are well worth a visit, or you can take one of the many tours of the Financial District by foot or bus. The Skyscraper Museum and the Museum of American Finance are both located in the Financial District and are educational in relation to the economy and history of finance. The Seaport Museum is host to musical performances and activities and is cantered around the history of maritime. There are many fusion delights to cater to all tastes in the Financial District, from The Dumpling Place for Chinese to Ancora Ristorante for authentic Italian, intimate setting down one of the quiet side streets in the district. For a meal with a view how about trying the Battery Gardens Restaurant? With floor to ceiling windows that look out over Battery Park on one side and the Staten Island ferry on the other, the restaurant offers traditional American food and a friendly ambiance. If spicy Southern or a mix of Mexican is your flavour then the trendy Cowgirl Sea Horse on North Dover Street is worth taking a look. 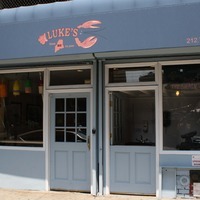 For a taste of the ocean then Luke’s Lobster – the only lobster shack in the area – is a must, located on Broad Street with a menu that won’t break the bank. Take the side streets to find small family run restaurants off the beaten track. The Wall Street area has seen a rise in hip and happening cocktail bars recently and for something a little unique try Bar Seven Five on Wall Street. Bar Seven Five is ultra modern and sleek with forward thinking design, the bars are “pods” that the waiters and bar staff actually bring to you. For something a little less contemporary the Ulysses Folk House on Pearl Street has something to offer to suit all tastes. As well as the standard cocktail menu, there are weekly “brewery nights” where the customers can try a specially selected brew of the month. If a more serene feel is what you are looking for, then the romantic ambiance of Vintry Wine and Whiskey will be just up your street. 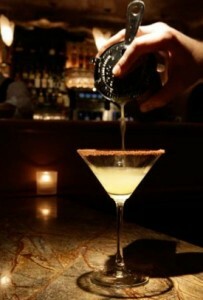 As well as boasting an impressive cocktail list, Vintry has an extensive wine list and whiskey menu and coupled with the candlelit atmosphere it is a perfect place to while away an evening in New York. The Financial District once was a place to work, but over the years has become a desirable place to live. Once just for the Wall Street Broker or financial business men and women, the development of residential areas, schools, play areas and homes means that it is now aimed just as much towards families. The Financial District has been used as location for many scenes and films such as the Dark Knight, Wall Street and Wall Street Two: Money Never Sleeps. The Federal Reserve Building on Wall Street was used as exterior shots in the Godfather and parts of the Transformers were shot in Wall Street. Nestled among the high rises and the skyscrapers is a hidden gem of a carefully maintained 17th Century Dutch neighbourhood. Nieuw Amsterdam (translated New Amsterdam) is a charming piece of history that homed the first settlers in what would become New York City. Tucked away and easily missed in Water Street is a charming 19th century authentic candy store, perfect to pick up gifts for those back home. For a wait in some of the finer restaurants and especially stores such as Century 21. With high fashion at an affordable price it is one place that should not be overlooked, as long as you are prepared for the crowds! What’s nearby? Visit Chinatown, Little Italy and Soho while you’re in the Financial District, since it’s only a short walk away.